We recently provided toilets for this great event free of charge. 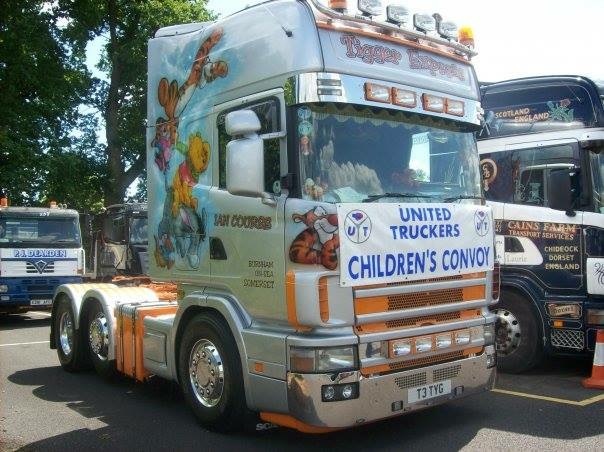 United Truckers Children’s convoy began in 2012. This event is all voluntary with Truckers across the country wanting to be involved. This is our second year of providing toilets. The event is for Bibic (formerly known as the British Institute for Brain Injured Children) is a charity that provides practical help to families caring for children with conditions like autism, cerebral palsy, Down’s syndrome, developmental delay, traumatic and acquired brain injury and specific learning difficulties such as attention deficit hyperactivity disorder, dyslexia and dyspraxia. 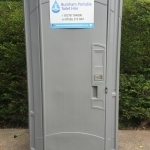 This charity is close to the hearts of all at Burnham Portable Toilet Hire. The convoy consisted of 50 Trucks of all varieties, shapes and sizes. There really are the most amazing trucks on display. 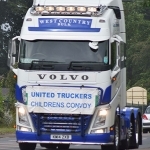 Each truck takes a child with their carer and drives them from Bridgwater to Crealy Great Adventure Park in Exeter. They follow in convoy along the M5, as you can imagine it really is quite a magnificent sight. The children and families will then enjoy a day in Crealy and be escorted back in the trucks at the end of the day. The event is extremely well organized to make the transition enjoyable and smooth to cater for all the needs of these wonderful children. Nothing is too much trouble for the Truckers and organizers, even down to refreshments being provided at the end of the day as the children are on the homeward bound. Photos taken from the 10th June 2017 event. We love being part of this special day and will continue to support as long as the event runs. No act of kindness, no matter how small, is ever wasted … Call today on 01278 794800 or send a message via the Contact Form.